If you have searched for “optician SEO” in Google and arrived to this page, it means we can rank websites. We can do it with your online site too! Imagine if we could improve your website’s ranking on the major search engines, how much your optical business would grow! 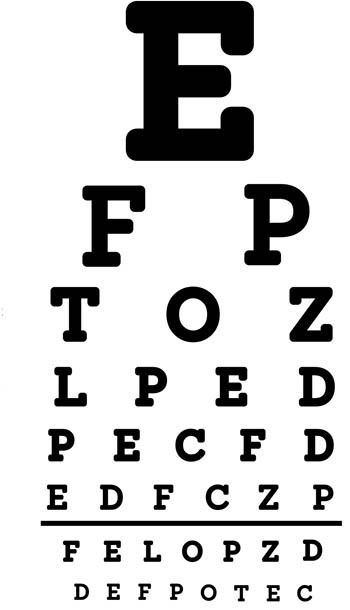 You can be the best optometrist with a beautiful website, but without visitors from search engines or Pay Per Click marketing campaign, your business will suffer. When somebody searches in Goolge for “opticians near me” or “prescription glasses” and your website is not showing up in the top of the result pages, you’re losing clients to other optical shops. If you want clients, you have to be on a high search engine position. We are a London based digital agency, ready to take your business to the next level! With proven strategies, and up-to-date techniques, ChelseaSEO can give your website the needed breakout by dominating the rankings in Google, Bing and Yahoo. Better ranking means more clients! Doesn’t matter if you are a small optical shop in London, Bristol or Cardiff, an ophthalmologist or an online shop sells frames & contact lenses, our marketing company can help you achieve your goals! In the long term, SEO is better and more affordable alternative than advertising on Google or on Facebook. As eye test, opticians and glasses are a competitive market, the keyword prices are expensive without promising any conversions. You need to pay on your marketing campaign to get steady traffic every month, meanwhile if you had you website optimised with our London marketing agency, and achieved a good position, that doesn’t cost you so much as PPC advertising. Your ranking will stay there, with a little maintenance it won’t disappear overnight, so you can count on the steady, organic traffic you are getting every month. Just some example, if you want to advertise on Google for the keyword “order contact lenses”, according to it’s Keyword Planner, one click costs you around £5.64, for “eye care professionals” it’s 5.11, another one “eyesight test” is minimum £4.78, it is the cost for one click only! If your business is new to the online world, we help you to find the best domain name, build a nice looking website or ecommerce shop with smart web hosting. We can take care all the process from registering your new domain through web development and ending with delivering visitors. We make a complete website audit, research new keywords, examine current rankings, internal & external link profile, etc. We take time to get to know your optical business and your main competitors. We build long lasting strategy to dominate search engines for targeted keywords based on our research. We implement our best techniques and optimise your website for maximum success. This phase includes content creation, blog/magazine outreach, organic link-building, local citations and more. You can see the progress as we are sending bi-weekly reports about your search engine rankings. Search engine optimisation is not a one-time activity. We keep updating your content with blog posts, articles, tutorials, infographics or even videos depends on your business on regular basis, also maintaining and improving your external backlink profile. As you watch your website is climbing up to the first page of Google within just a few months, and your company’s revenue increases from a steady stream of new clients, you’ll be realising the benefits of investing in our SEO plans. Our optician SEO experts stay up-to-date with the current search engine optimisation news, ensuring that our company is always adjusting strategies in this ever-changing industry. It is not a luxury any-more to be at the first page of search engines. Let us help you grow your business to the next level! ChelseaSEO gives proven solutions for small and larger companies. Discover the best SEO Packages we provide or feel free to contact us for more details!